If I told you there were vegan versions of America's favorite candy bars (Snickers, Three Musketeers, and Reese's Peanut Butter Cups, to name a few) that tasted amazing and contained no artificial ingredients, would you believe me? Probably not, right? Well then this post is for you. Get ready to be more excited than a kid in a candy store! Go Max Go is a vegan Texas-based company (wait, isn't that an oxymoron?) whose sole purpose is to provide you with delicious, chocolatey confections that will make you forget that non-vegan candy ever existed. Seriously, it's that good. Each one retails for only about $2.50, and they're surprisingly widely available nationwide (at most Whole Foods and natural grocery stores). 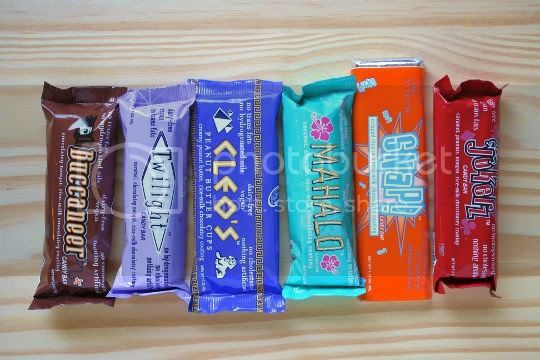 Nothing tastes "vegan" here, and the rice milk-based chocolate used for each bar is some of the best chocolate I've tasted. Creamy, smooth, sweet, and real, meaning it doesn't taste a bit artificial or chemical-laden. In most cases, vegans must give up the delicious creamy flavor that only milk chocolate has, and opt for the less sweet, stronger, and more bitter dark chocolate. Not that that's a bad thing, but nothing can really compare to some good milk chocolate! If you're not a fan of the dark variety but thought you could never taste the pleasures of the milk kind again, read on. I'm gonna go ahead and say these are actually BETTER than Reese's. Why? Well, the peanut butter filling is far superior. 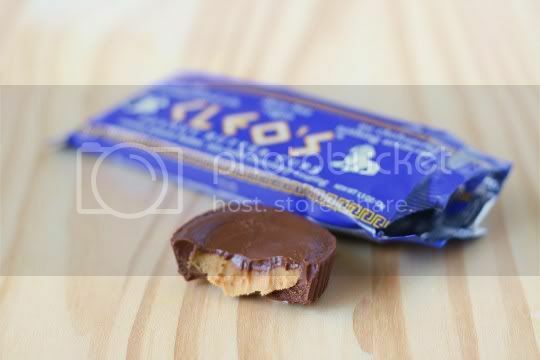 Instead of the dry, crumbly texture in Reese's, Cleo's uses a soft and smooth, creamy, gooey, sticky filling. 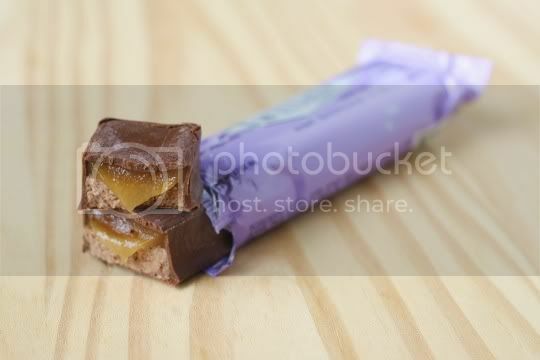 It's luscious and decadent, and the saltiness in the peanut butter contrasts the light sweetness of the chocolate. I'd get these over the original ANY day, because really, you can't even tell the difference in flavor! 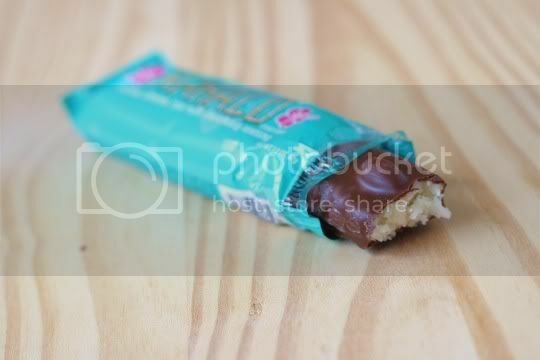 Another delicious bar, this is for those of you who want to focus more on the sweet milky chocolate. It's definitely the most simple of the bunch, with only puffed brown rice added for a crunchy, cripsy texture. It's light and not overly decadent, perfect for a quick chocolate pick-me-up. Chocolate and coconut, one of life's most underrated combinations. If you are a fan of coconut, you'll love this tender and chewy bar. The filling is pure and white, soft and pillowy, like a sweet coconut cloud. Cute little almonds line the top of the bar, all of which is covered in that delicious milk chocolate. 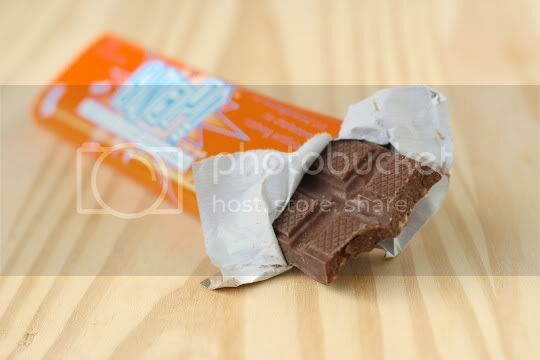 The bar as a whole is very sweet, so the almonds add a nice neutral nuttiness. This is also one of the fattiest bars (hey, I never said these were healthy! ), so eat in moderation. And here's the bar you've all been waiting for. Chocolate, peanuts, caramel, and nougat. Sound familiar? While Jokerz doesn't taste EXACTLY like Snickers, it's damn close. The first thing I immediately noticed about the taste was how fresh the peanuts tasted: not like they's been sitting in a factory or on a shelf somewhere, but as if they'd just come off the roasting conveyor belt. The caramel is gooey and sticky, and the peanutty nougat is a little denser than expected, but it's still amazing. I'd definitely say this was the best of the bars in terms of flavor, texture, and ingredients. It wasn't too sweet, and everything nicely balanced out. Winner! Similar to the Jokerz, but sans peanuts, is the Twilight. 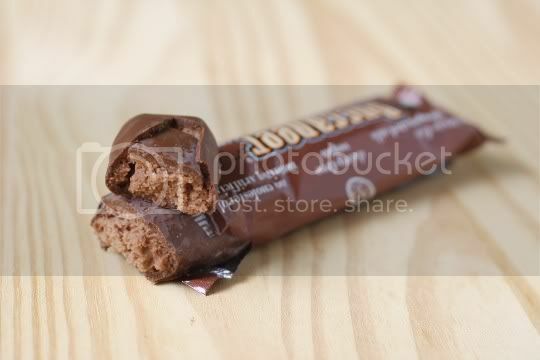 Instead of a light peanutty nougat, this one uses a chocolate version, which is equally as good and slightly more rich. I thought the texture of this nougat was a bit gritty, and the bar as a whole was definitely on the extra sweet side, but believe me when I say I had no problems finishing it! Thank you, Go Max Go, for making it possible to enjoy sugary, chocolatey decadence without feeling guilty (well, our waistlines are another story). 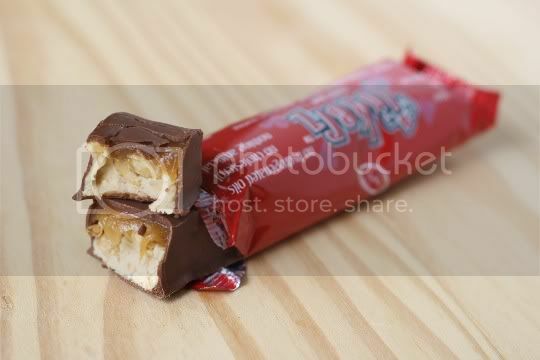 I've only got one request: please make a vegan Twix your next product!! !